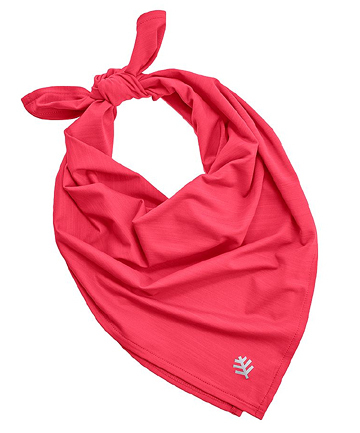 Coolibar Unisex Sun Bandana UPF 50+, $18 If you're a dermatologist, you know that protecting your skin at the beach means doing more than just applying sunscreen. "You should also pack an umbrella so you can seek shade during the sun's strongest hours from (10 a.m. to 2 p.m.), wear protective clothing and accessories, such as wide-brimmed hats and UV-protectant sunglasses, and my favorite secret beach item—a neck gaiter or neck bandana," says Jerome Garden, MD, director of the Physicians Laser and Dermatology Institute in Chicago. He, like Jaliman, also recommends Coolibar products to most of his patients, specifically the bandana scarves. "Protecting your neck from the sun can help avoid changes to your neck as you age, such as poikiloderma of civatte (the so-called 'red neck'), cutis rhomboidalis nuchae and general neck skin laxity," he adds. "While many of these skin changes can be helped with various lasers and devices, save yourself some money and invest now in a simple way to protect your neck!"